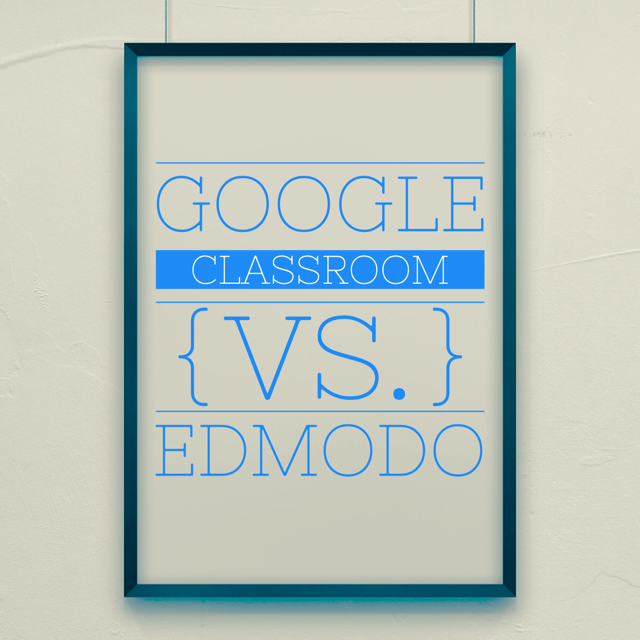 Google Classroom or Edmodo… which one do you prefer? I have been switching back and forth between Edmodo and Google Classroom for this past year. There are reasons why I like both and then reasons why I don’t like each. I started using Edmodo first, I liked the idea of have a social network for my students and parents. This is a plus of Edmodo; my students can have their parents log onto their account using a parent code. The parents are able to monitor the students posts and see what they are doing in school. Then Google Classroom came out, I heard many educators talking about the program. Then our school district went to GAFE (Google Apps for Education) and all of my students got Google Classroom accounts. This was a push for me to make the switch. However, I wasn’t comfortable with it myself. A plus of Google Classroom is there is no additional log in process. The students accounts are connected to their school account and comes up automatically if they are properly logged in. Below is a video on how to set up your Google Classroom and some features it offers for you and your students. A downside of Edmodo is that my students are always forgetting their passwords for their Edmodo accounts and I have to reset them all the time. With Google classroom, this is not a problem. I was ready to make the switch when Edmodo came out with a new feature called “Edmodo Snapshot”. Snapshot is an online assessment tool that matches with common core standards. This is a great new resource that I was asked to pilot as a snapshot trainer. I took an online course and then performed a PL with my staff. The video below shows how Edmodo Snapshot works. I am in love with both features… however, I think that my students will use Google Classroom as their main application and they will also use Edmodo Snapshot only (not the entire site) for assessments time to time. Comment below which you prefer for your classroom? I too switched between Edmodo and Google Classroom last year, but I did not have my students use Google Classroom, I just played around with it myself. I am sold on the Edmodo Snapshots as well. I also like the apps connected with Edmodo that offer my students differentiated practice after they complete Snapshots. And Class Charts for seating arrangements, and Class Dojo.. Students are motivated by the badges on Dojo and Edmodo as well. A third reason I like Edmodo is so that the parents can stay up to date with our class as well. I have them set for view only. Does Google Classroom have an assessment tool like Snapshot or apps or parent features?